Everyone in California knows that DUI is a serious crime in this state, but what you may not know is that you can be charged even if you are not operating a motor vehicle on a California street or highway. 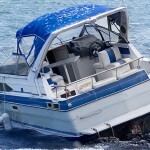 “BUI” – boating under the influence – is also a crime in California, and with spring rapidly approaching, boaters and everyone else who enjoys the water should be aware of the law. Like drunk driving, you can be charged with BUI if your blood alcohol content (BAC) level exceeds the legal limit of 0.08 percent or if you are deemed too intoxicated to operate your boat or watercraft safely. It’s imperative for any southern California boater who faces a BUI charge to speak right away with an experienced Orange County DUI defense attorney. California’s Harbors and Navigation Code defines “under the influence” as a blood alcohol content (BAC) level of 0.08 percent for operating a recreational vessel and 0.04 percent for operating a commercial craft. It’s also vitally important to know that for personal watercraft like an aquaplane or water skis, there is zero tolerance in California law; a user may not measure any blood alcohol content whatsoever. The penalties for a BUI conviction are comparable to penalties for a DUI conviction: fines, probation, possible jail time, classes or counseling, and more. 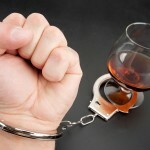 A good DUI defense lawyer will employ some of the same strategies used in DUI cases to defend you against a BUI charge. Field sobriety and chemical test results can be challenged; witness testimony may be disputed; and even the reason you were stopped may be questioned. Enjoy California’s rivers, lakes, and our Pacific coastline this spring, but don’t risk your freedom and your future. 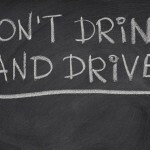 If you’re accused of BUI, contact an experienced Orange County DUI defense attorney as quickly as possible.